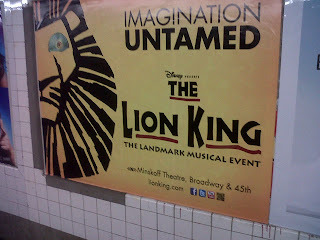 Subway posters are very common and mostly advertise upcoming movies and TV shows while providing something to mindlessly look at while waiting for the next train. 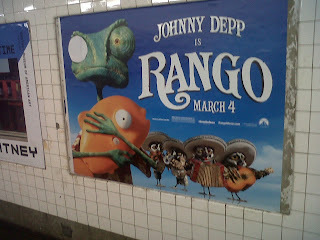 Someone had taken Rango's eye and put it on Mufasa (or is it Simba?)! 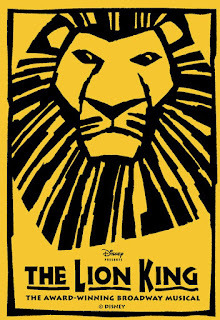 After much discussion we decided that the person must've been an artist to determine that out of all the other eyes on the other posters to replace that this would be the best according to scale and color. 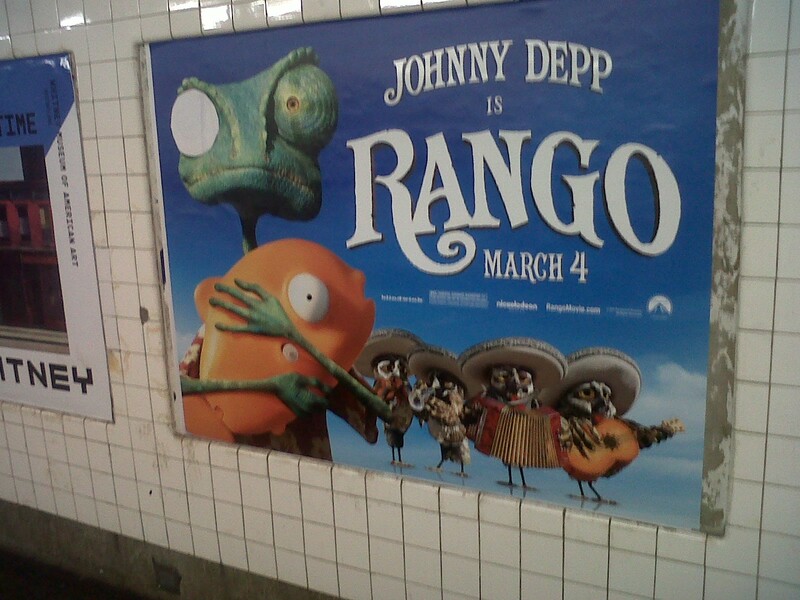 We even debated if there were any other posters where Rango's eye would've been a good fit, and we decided that The Lion King poster was indeed the best. 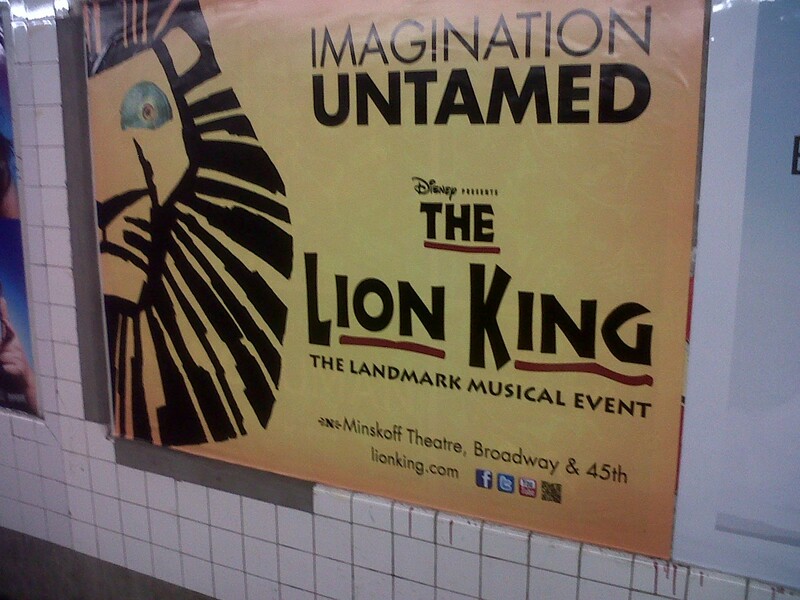 Now whenever we see a Rango or Lion King poster we think of this switcheroo.